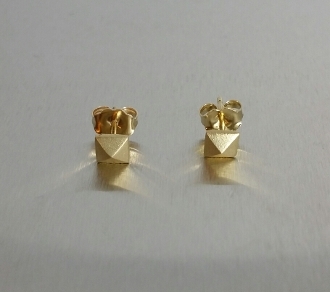 This pair of pyramid gold stud earrings come in solid 14 karat yellow gold. Approx. size 5mm.